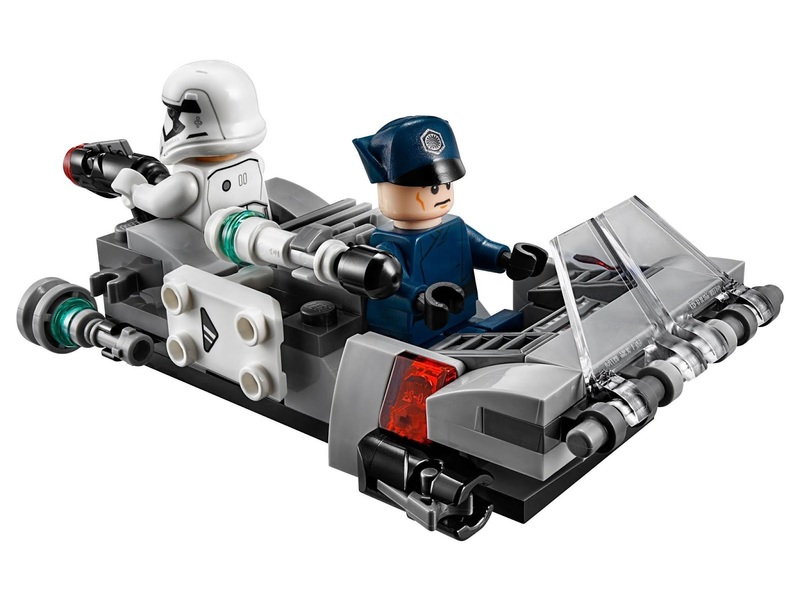 come with a first order transport speeder. 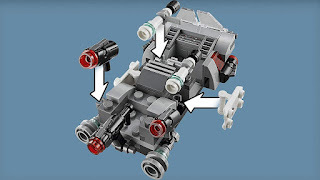 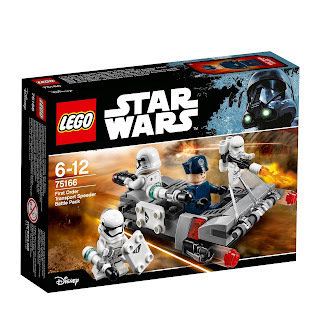 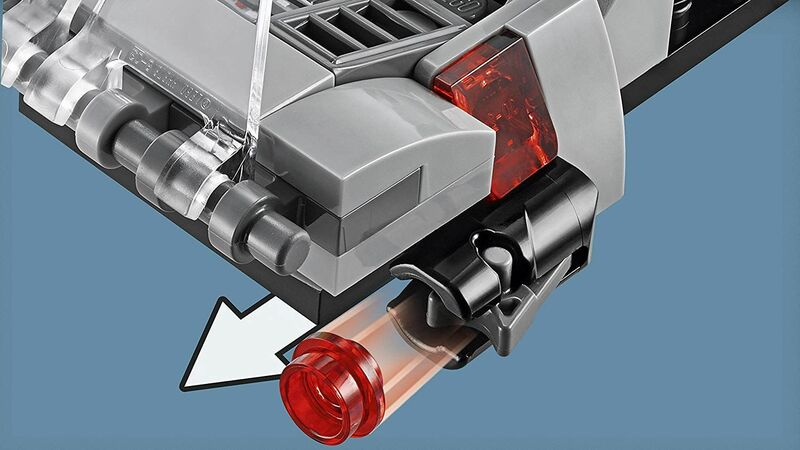 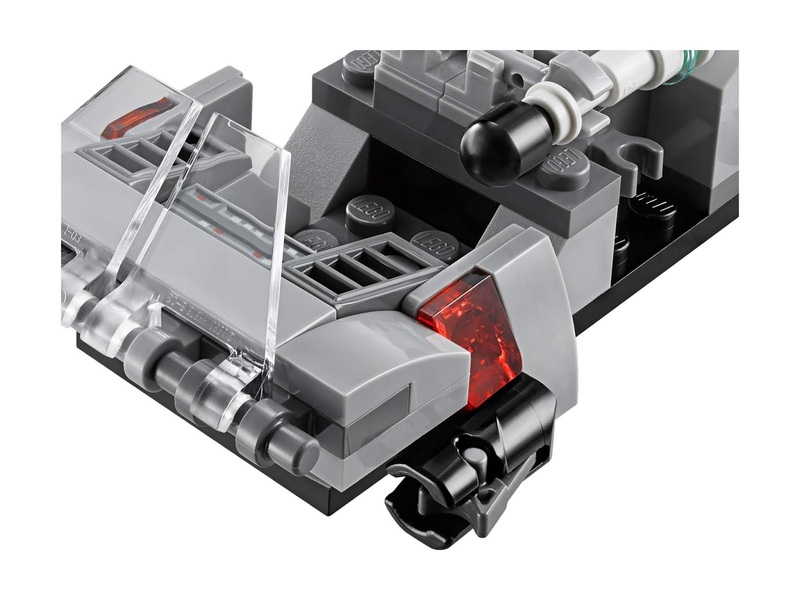 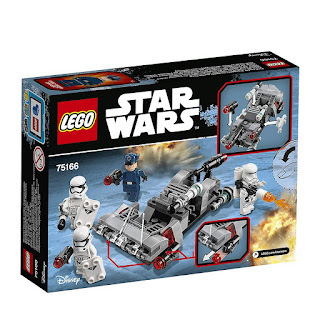 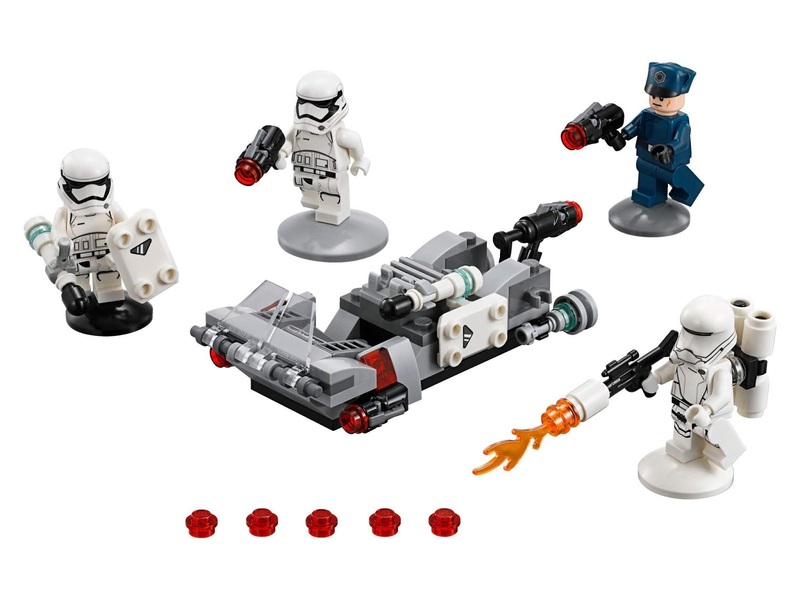 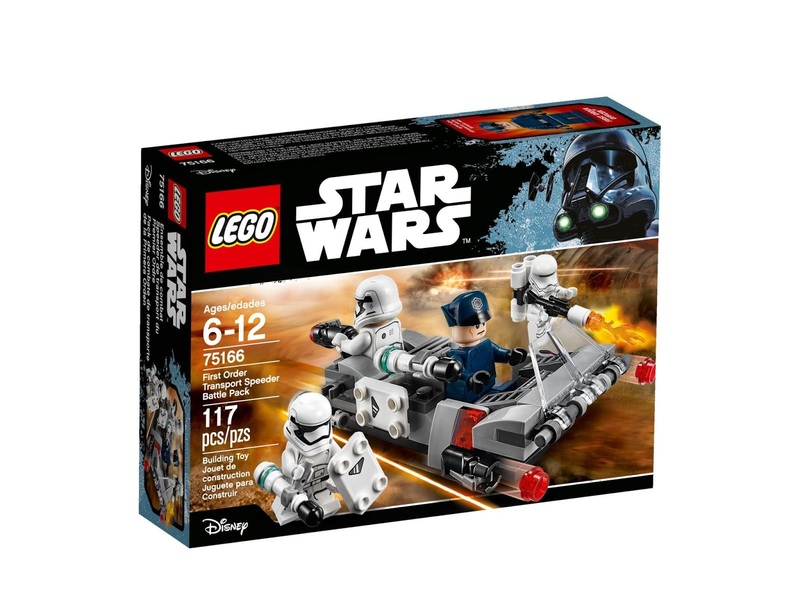 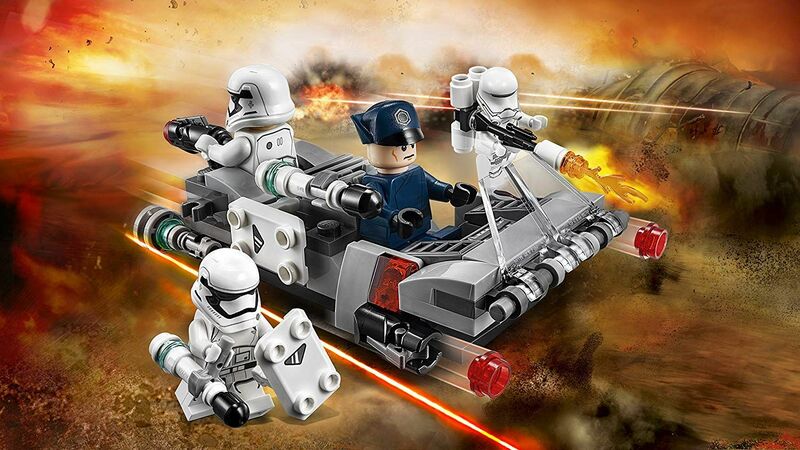 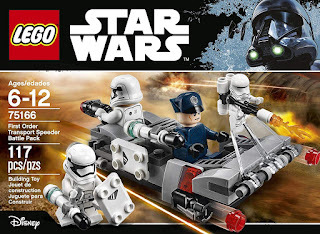 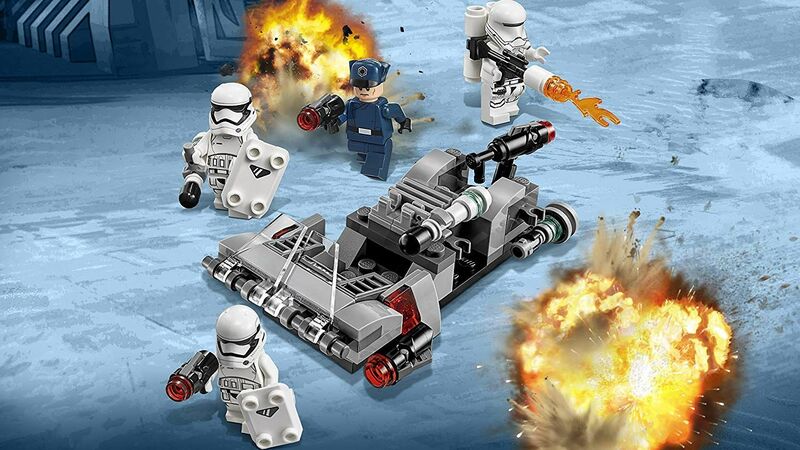 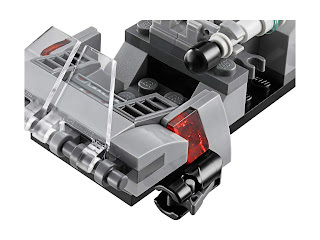 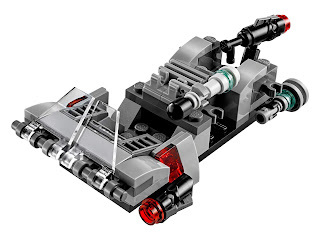 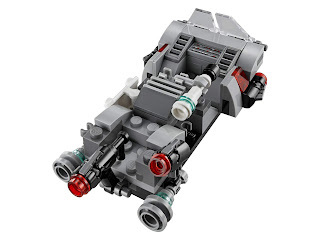 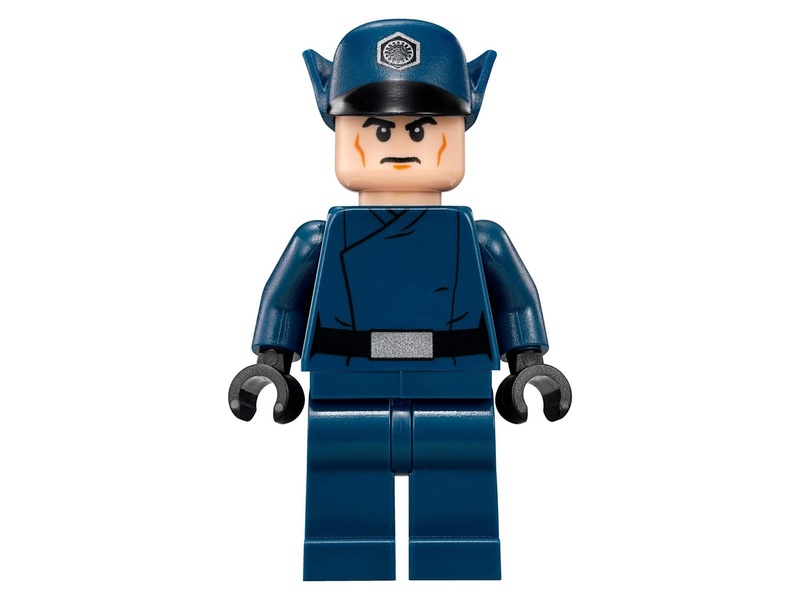 the speeder has front and rear stud shooters, detachable stud blasters and a space for 2 minifigs. 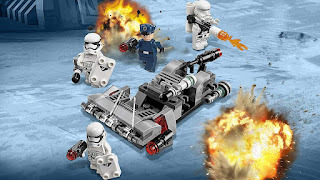 also included 3 stud blasters, 2 batons and a flamethrower. 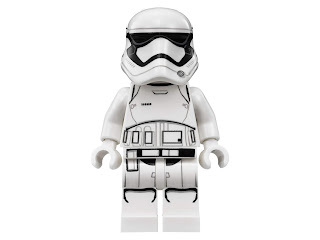 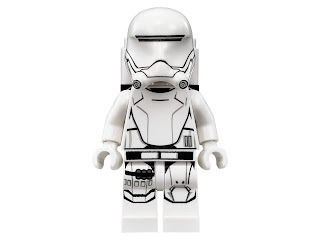 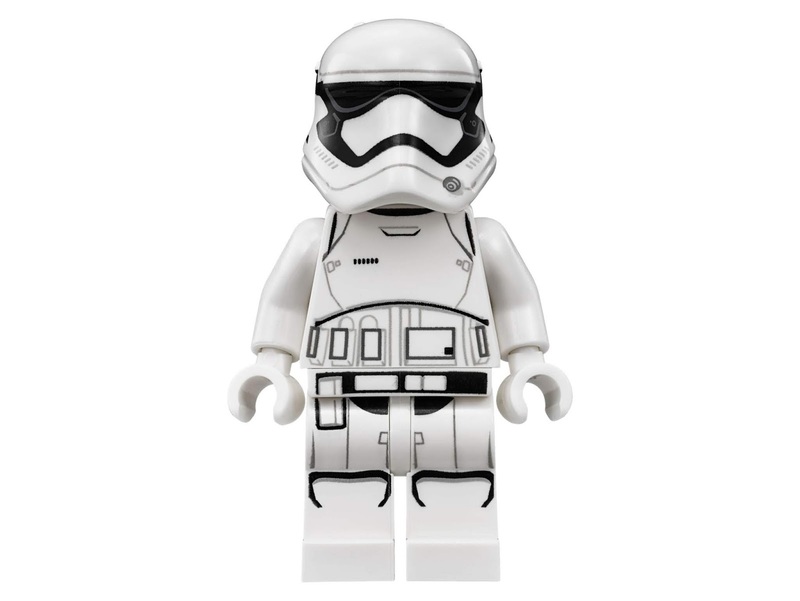 minifigs included 2 first order stormtrooper minifigs, a first order flametrooper minifig and a first order officer minifig.